Review: There have been very few films that have been as brave as the one I am reviewing here today and I make that statement because of 2 things this film does differently than your typical film does not do. First thing it does is that this film was shot in 1 single continuous shot from start to finish, secondly this film plays out in real time similar to the 1952 western film High Noon. 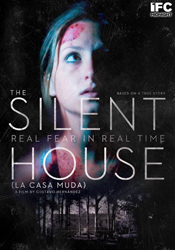 The Silent House follows 2 characters but I really only count it as one because the father of the pair is taken out withing the first 20 minutes of the film, anyways the pair go to this house that a friend is about to put up for sale so they can get it cleaned up and looking decent but shortly after arriving to the house things start to go wrong and the daughter is left along to defend herself from the evil lurking inside the house. After seeing the trailer for The Silent House I got really excited and for me to get excited over a film that looks like a haunted house film is quite rare, but none the less I was. Going in I was excited to see a film done like this one was because it's a little more unique to the current horror landscape but it only took about 40 minutes to turn my excitement into pure let down. What I mean by that is that what I expected this film to be about was anything but that, instead I got a film with no ghosts at all. Now I am not going to say what happened for the sake of anyone who wishes to view this film. There is a twist I did not see coming until it hit, now even though I did not like that it was not in the haunting genre I will say it did have an interesting story. 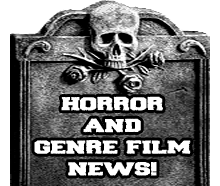 Personally with a great idea of making a film in real time and one continuous it would of been awesome to do a really chilling film that be like going through a real life haunted house. Despite my criticism and let down of this film I will recommend this to anyone who wants to see a horror film that has true suspense and an original plot in a sea of horror remakes! The only bit of advice I have left to give you about this film is DO NOT WATCH THE TRAILER!